Yesterday I had a lively conversation with a business professional who, like many others over the last decade, is predicting the death of salespeople; or at least a decrease in the need for them. I couldn’t disagree more. As I wrote Conversations That Sell, I came to the opposite conclusion! The world of commerce—whether it’s business to business or business to consumer—needs professional sellers more than ever! Yes, the internet makes it easy to buy many things, compare prices, collect data, and solicit opinions. Yes, many items we need are commoditized and sold that way. Yes, we have more information than ever to use in buying decisions. Selling is helping someone do or decide something. That’s what salespeople do…help others make a decision or take an action. Marketing can drive this for commodity items and websites can lead the buyer to specific products; yet my observations uncovered that many buyers still need someone to guide or help them. My belief is that the need for salespeople isn’t going away anytime soon­—or ever really. Too much information actually slows down decision making for many people. Consumers can make buying anything very complicated as they juggle wants vs. needs and emotions vs. logic. There are thousands and thousands of sales jobs open – meaning companies have identified the need for salespeople to build their business. The Bureau of Labor Statistics reports that there are millions of sales positions in the U.S. alone. Predictions in sales hiring are up – Career Builders forecast states that one of the most in demand jobs for 2013 is sales, with 29% of predicted new jobs for 2013 being a sales role. Research cannot account for the differences in people – and how they like to (or what they need) make a decision. It also doesn’t account for people’s socialization needs. How many people do you know make social outings out of shopping? What the ease of access to information and purchasing power does mean is that salespeople need to be more skilled in their conversations, more focused, and more knowledgeable. Salespeople must ensure that ALL they do is geared toward helping their buyer do or decide something. It also means that sellers need to be flexible in their conversations, seek information from the prospect about what they already know, and guide them to a decision effectively and efficiently. I guess time will tell what happens to one of the oldest professions on the planet…until then I will continue to crusade and build the confidence and competence of sellers around the world. Your turn! What do you think? 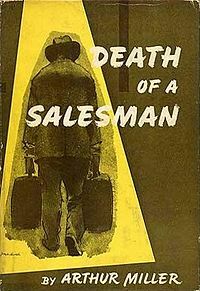 Is the death of salespeople coming? Do you make all your purchases electronically? When do you want to speak to knowledgeable salespeople? Share your comments and you’ll be entered in the drawing for a signed copy of Conversations That Sell. Congratulations to Carliss Dykes whose name was drawn for commenting on the last newsletter article. Carliss, your book is on its’ way! Nancy, I completely agree. I’ve been doing a lot of research into sales and marketing automation, but there’s really no match for personalized, human to human sales. 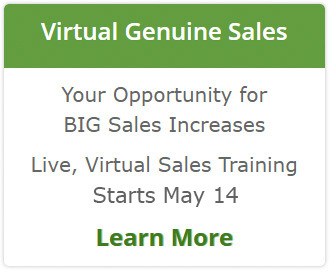 Even with all the tools and technology available, there is still a growing need for sales people. Is the death of salespeople coming? Absolutely not in my eyes. I’m definitely with you David. Would appreciate you sharing you research. Thanks, I will enjoy the signed copy. I already have my ditigal copy but the signed copy will make a excellent Xmas gift. I will make a commodity purchase (airline, hotel) electronically. However a complex or value based purchase (insurance, realestate) I want some guidance from an expert, i.e. a sales person. A good ‘saleperson’ does not die, we evolve! HI – glad you saw the note! I need you send me your mailing address and I’ll send a note through LinkedIN to get it. Good points on the commodity versus complex transaction. The bar is getting higher and higher for salespeople today and if they don’t realize that they will certainly become obsolete. What does this mean? Salespeople have to be good in so many areas besides the table stakes stuff such as cold calling, relationship building, presenting, closing, negotiating, etc. Today, salespeople have to be very good at generating context marketing, since marketing can’t really do that well since they don’t know the prospect as well as the salespeople do. Content is very important that salespeople have to become good at. Salespeople have to be good at forging partnerships. This is not easy for salespeople since they really don’t get partnerships. They will all deny it. Salespeople also have to be quite technical since business is IT today. Saying “I am not technical” is not going to cut it anymore. Salespeople have to know Agile/Lean since speed is relevancy. If salespeople can do all this, then they are going to worth their weight in gold. I’m sorry to see we can’t say “I am not technical.” Because I am not 🙂 I’m working on it though! With huge product diversifications from same house it’s important for company person as to suggest the ryt product as per the customers requirements and this required a lot of personalized sugesstions and can be provided only by a well trained salesman, can never be substituted with any big technical softwares.